Chris Young is a San Diego native and an alumni of Patrick Henry High School. He volunteered with UYC before he came on staff and hopes to see it grow in East County. He is married to his wonderful wife Erica. Some interesting facts about Chris include his adoption as a young child, and his love for sports. 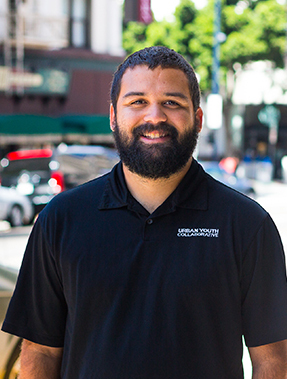 Chris works at the Shelter Church in La Mesa where he oversees the children, youth, and administration.